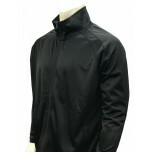 In basketball referee jackets, most officials wear the classic black, full-zip (non-reversible) jacket for pre-game - unless otherwise specified. 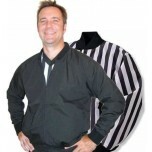 This referee jacket has a trim look and is comfortable to wear. 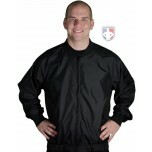 I feel confident knowing that I look good walking out onto a college court!